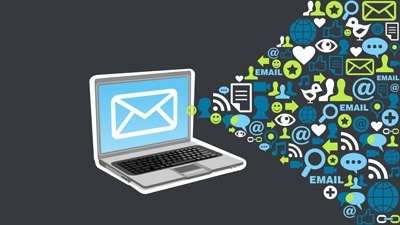 Want to know just how effective email marketing is in 2014? Well according to a recent study, email marketing has an ROI of 4,300%, and is largely considered to be more successful than content marketing, social media marketing, PPC, offline direct marketing, mobile marketing, affiliate marketing, and more. The reason for this high return rate is that almost everybody has an email account, and a majority of people check their inbox at least once a day, so it’s an easy way to connect with customers on a one to one basis and build long lasting relationships. Despite the fact that email presents an unparalleled marketing tool for businesses, it’s also plagued with its fair share of challenges, such as deliverability, low open rates, and even lower click through rates. As a result of these challenges, many businesses look to optimize their emails in order to increase their conversions, but do so with varying amounts of success. If you’re one of the many businesses that has tried to optimize your email monetization strategies and failed, then this infographic was built for you. Email service provider Gold Lasso recently conducted a study on how various email monetization tactics affect the probability of subscriber opt-out and disengagement. Their study included 20 publishers and over 400,000 randomly selected subscribers, and details the practices that work (and don’t work) for email marketing success. Take a look below, and be sure to let us know what you think of their findings in the comments section. 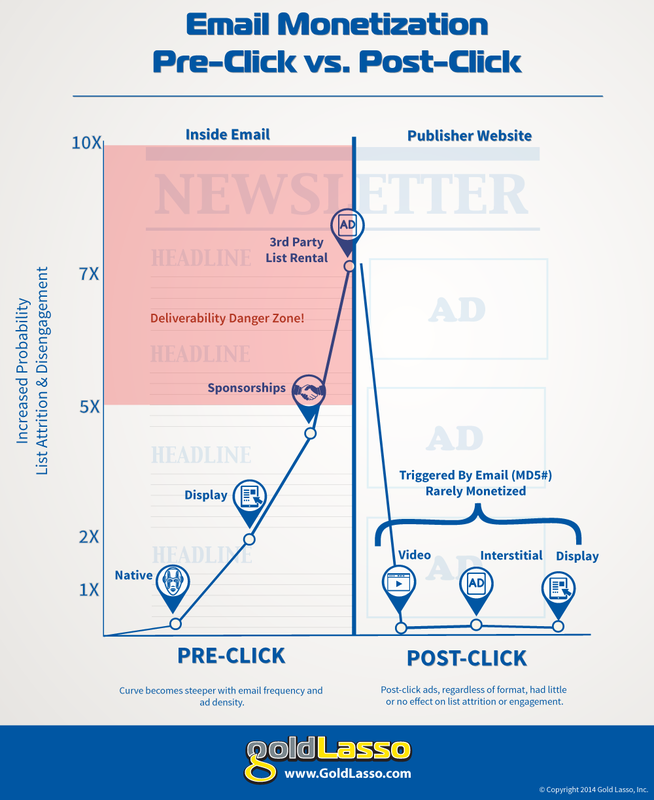 Pre-click email monetization tactics (monetization inside an email) significantly increased the probability of list attrition and disengagement. Native advertising, ads placed in the main content column of an email, had the least effect on attrition and disengagement while 3rd party list rentals increased the probability of a subscriber opting-out or ignoring future messages by over 700%. Despite the high returns of list rentals, they created dire deliverability issues to future email sent. Contrary to common publisher misconception, however, all post-click email monetization tactics (interstitials, videos, display ads, etc.) that leveraged a subscriber’s encrypted email address for targeting purposes, had very little to no effect on list attrition or disengagement. In other words, publishers who don’t leverage subscriber email addresses for post-click targeting and monetization purposes are leaving low risk to no risk money on the table.